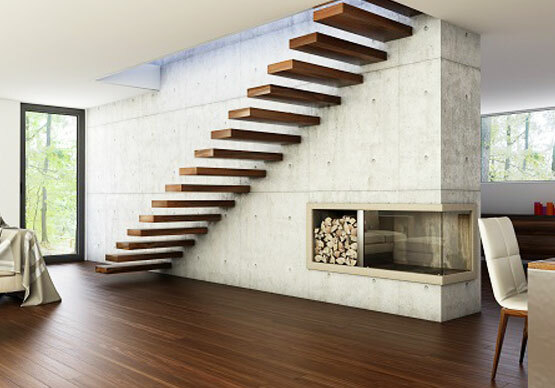 The last word in staircase luxury minimalist design and engineering excellence. 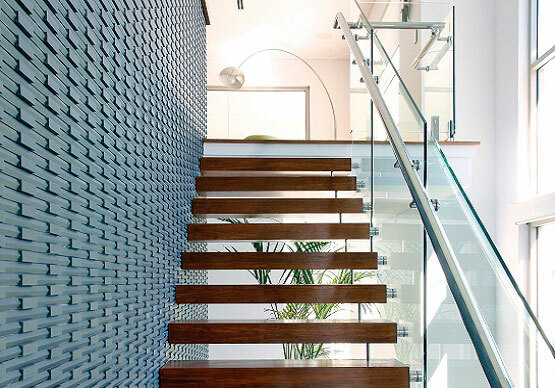 The secret to our top of range Prestige staircase is the hidden BlueScope steel work that we manufacture and install in the wall which cleverly and securely supports the treads. 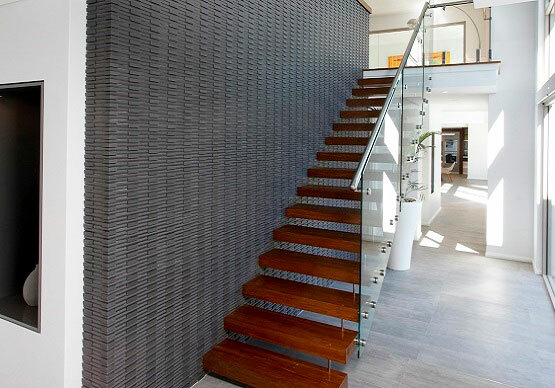 Treads can fully be engineered from the same boards that are used for the flooring for a seamless flowing look upstairs and down. Alternatively pick from one of our quality hardwoods, Tasmanian Oak, Jarrah, NSW Blackbutt, American White Oak, French Oak or American Black Walnut. 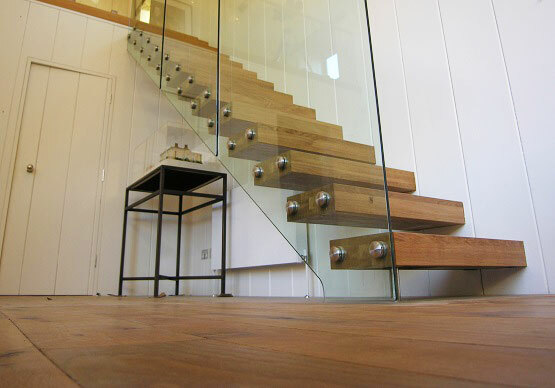 Add your choice of glass or stainless steel balustrade for a spectacular finish. The Majestic Prestige is a true floating staircase for the most discerning, style-conscious, trendsetter.